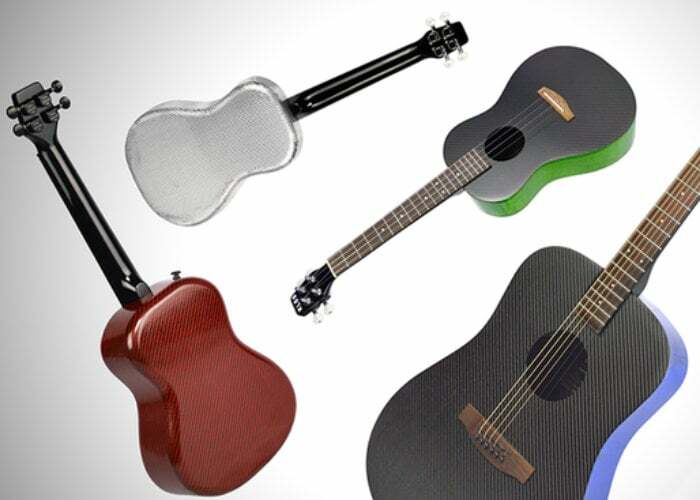 Musicians may be interested in new carbon fiber ukuleles and guitars created by KLOS Guitars. 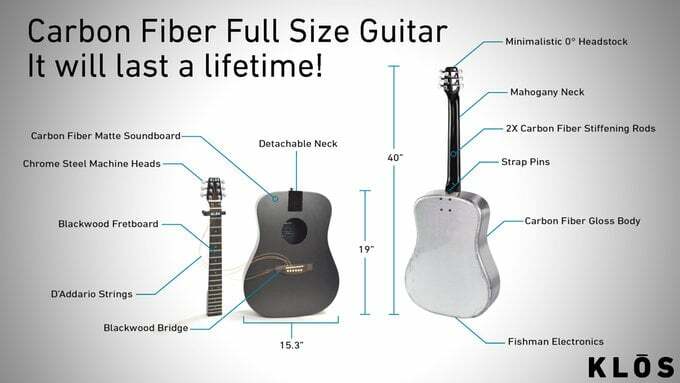 The range includes ukuleles and full size dreadnought guitars in six different vibrant colours, watch the demonstration video below to learn more about each and their construction. 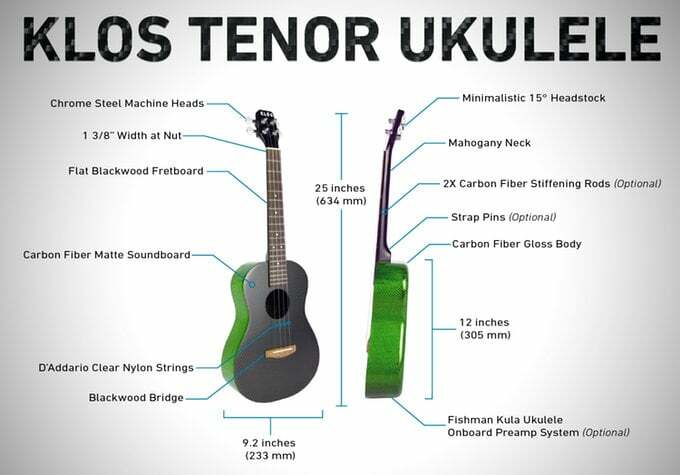 Available to back via Kickstarter the new carbon fibre musical instruments are now available with early bird pledges starting from $419 roughly £315 for the acoustic ukulele, with electric ukuleles priced from $549. If manufacturing progresses smoothly worldwide shipping is expected to take place during July and August 2019.